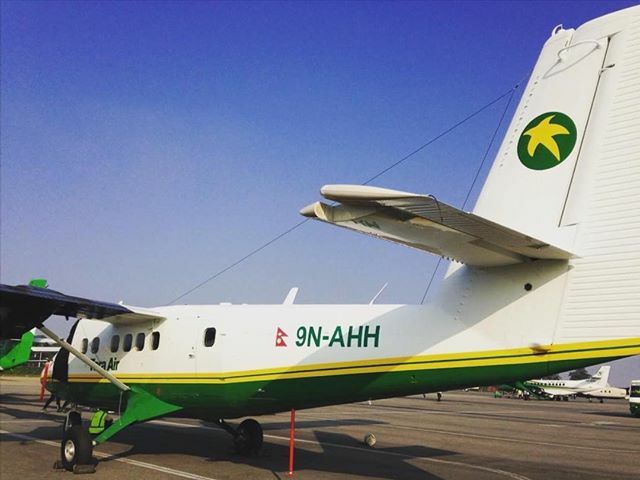 Tara Air Viking 9N-AHH Twin Otter on board 23 passengers and three crew members that vanished early in the morning en-route Pokhara-Jomsom has been believed to have crashed in Myagdi's Rupse. A police team has been sent to the border of Myagdi and Mustang districts after locals reported fire in the area. According to Jasoda Subedi, chief air traffic controller at Pokhara Airport, the plane took off from Pokhara at 7:50 and lost contact after it reached the airspace of Ghorepani, Myagdi. 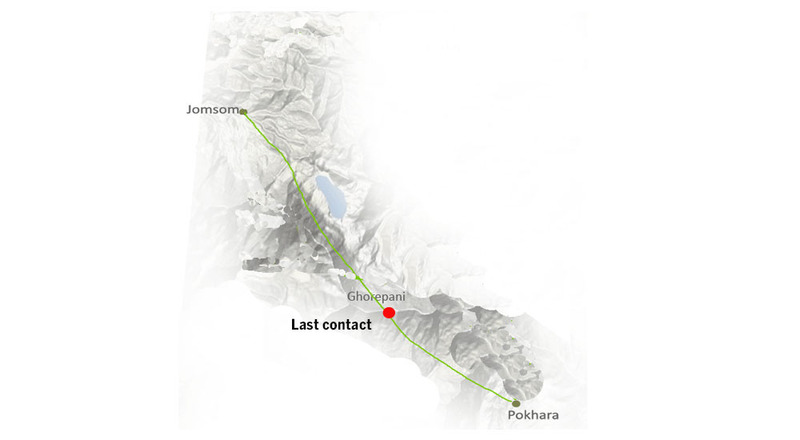 “The flight captain Roshan Manandhar had made last contact with us (Pokhara Airport) at Godhepani area, from where Jomsom Airport takes the control of the plane,” Subedi said. The Captain said “see you back, Ghorepani normal” immediately after air traffic control charge was transferred to the Jomsom Airport. The visibility of Pokhara Airport was 5km when it took off. Later on, repeated contacts with the Captain from both airports failed. Two helicopters have been sent from Pokhara for the search mission. Among the passengers, the airline officials said that a Chinese, a Kuwaiti and two infants were on board. Tara Air added the brand new Viking DHC6-400 Twin Otter aircraft to its fleet in September last year. The short take-off and landing (STOL) plane boasts cutting edge avionics technology with an integrated full glass cockpit that features an enhanced ground proximity warning system, traffic collision avoidance system and full colour weather radar. The missing plane pictured earlier with Nepali registration number by twinotterspotter.blogspot.com. 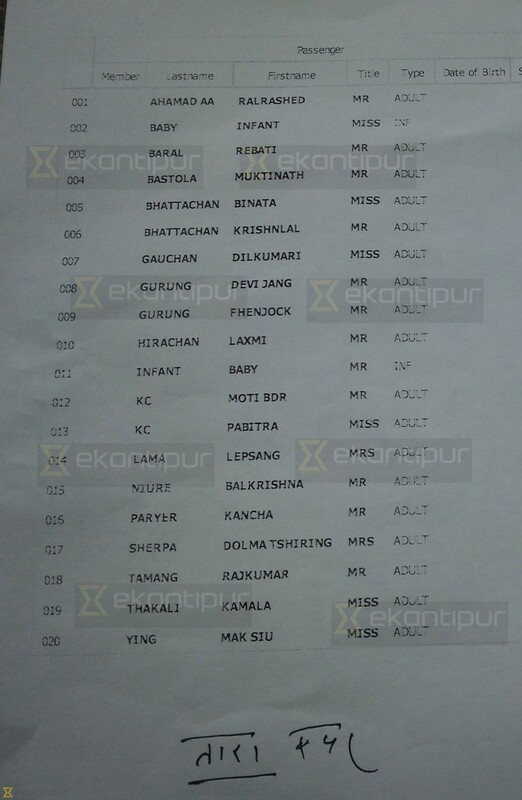 Name list of passengers onboard the plane.